I’ll probably require a paid update at some point, currently I think this will be approximately 2 years after your initial license purchase. This means earliest in January 2018. Your previous license will continue to work with all versions that were released during the ~2 years after your initial license purchase. 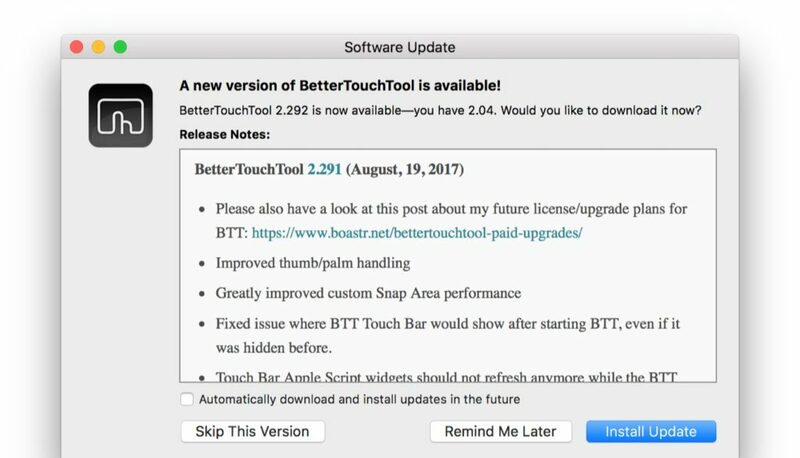 So you don’t need to buy the update to continue using BTTonly if you need some of the upcoming new features. 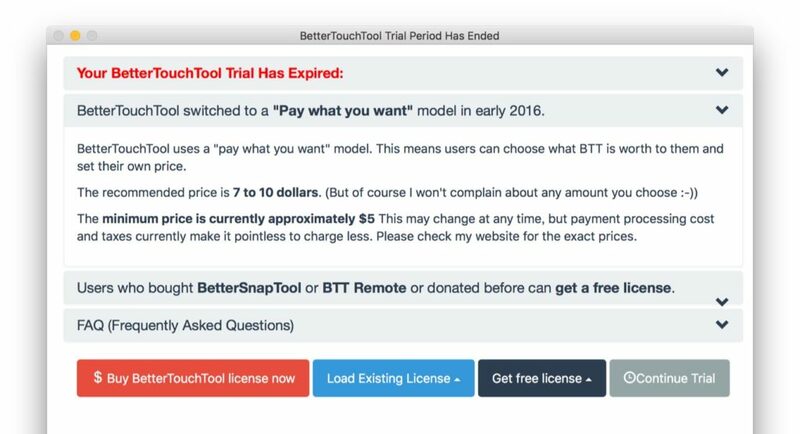 I don’t want to establish a subscription model that requires users to pay if they want to continue using BTT. If you purchase a license that license will never expire. It will always work with the versions that were released during the supported time frame.